Get ready to feel your best! Our B-LITE formulas will have you feeling energized throughout the day so you can tackle your goals with confidence. MOST OF OUR SATISFIED CUSTOMERS TAKE B-LITE OR B-LITE|XTRA BECAUSE OF THE WAY IT MAKES THEM FEEL. THESE POTENT INGREDIENTS WORK FASTER AND MORE EFFICIENTLY ON YOUR BRAIN AND BODY TO ELEVATE YOUR MOOD. WHAT SETS B-LITE|XTRA APART FROM OTHER SIMILAR SUPPLEMENTS IS ITS EASILY ABSORBABLE, POWERFUL AND COMPLETE B-VITAMIN COMPLEX. MORE BIOAVAILABLE MEANS YOU FEEL IT WHEN YOU NEED IT! B-VITAMINS AND OTHER NATURAL INGREDIENTS IN B-LITE|XTRA PROVIDE THE BRAIN NUTRITION—OFTEN MISSING FROM OUR DIETS— THAT RESTORES BALANCE TO OUR NATURAL HUNGER MECHANISMS. THERE ARE TWO TYPES OF FAT. B-LITE|XTRA PROMOTES A STRONG THERMOGENIC EFFECT IN YOUR BODY THAT STIMULATES BROWN FAT (THE GOOD FAT) WHICH IN TURN BURNS OFF WHITE ADIPOSE TISSUE (THE BAD FAT). THIS IS WHAT YOU WANT. Not intended for use by persons under 18 years of age. Consult your health care professional before using this product if you have any medical condition including, but not limited to, strokes, high blood pressure, heart, liver, kidney,or thyroid disease, diabetes, anemia, depression, anxiety, other psychiatric conditions,a family history of these or other medical condition, or if taking any prescription, OTC, and/or other herbal medications. Keep out of reach of children. DO NOT: DO NOT USE IF SAFETY SEAL IS BROKEN. IS B-LITE|XTRA BETTER THAN REGULAR B-LITE? 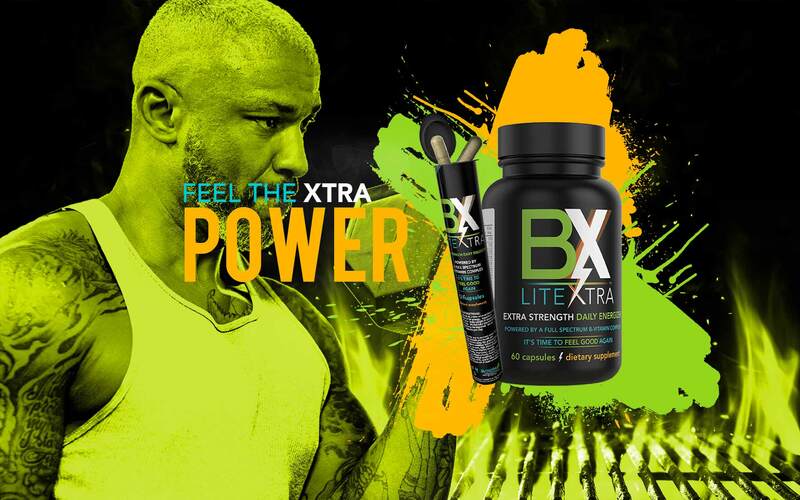 B-LITE|XTRA was not created to be better than or replace the original—it’s just stronger. Same B-Complex, same proprietary blend—with an increased amount per capsule of the stimulant ingredients. One of our goals was to keep the regular use of B-LITE economical for those who are less sensitive to stimulants and often took two capsules at once to feel desired energy. 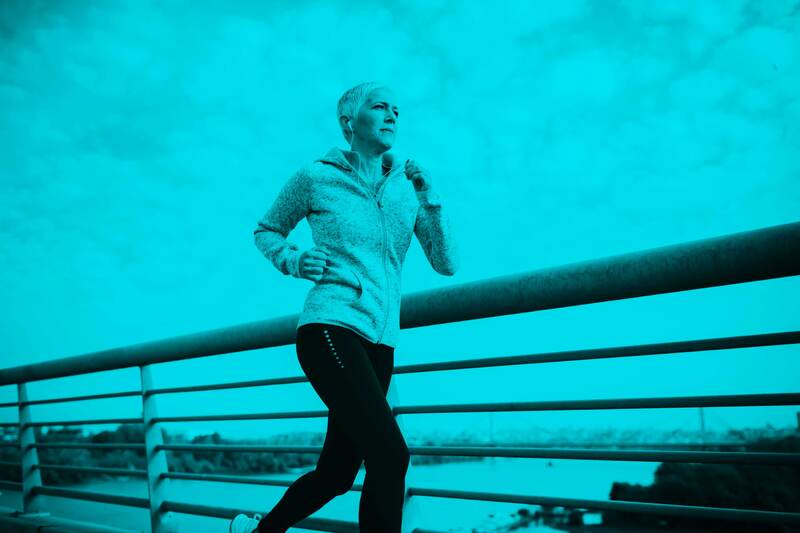 B-LITE|XTRA is for active adults and experienced users of energy and thermogenic supplements who are less sensitive to caffeine and stimulants. If you prefer a little XTRA kick, this proven synergistic blend of vitamins, minerals, antioxidants and powerful extracts can help you regain control over unhealthy cravings, aid fat-burning through thermogenesis, and significantly enhance your mood with long-lasting focus and energy. If you are caffeine sensitive, please try regular B-LITE first. WILL B-LITE|XTRA GIVE ME SHAKES OR JITTERS? While this formula is significantly stronger than regular B-LITE, B-LITE|XTRA delivers the same nutrients and antioxidants that support and repair overworked adrenal glands and neurotransmitters in our brain. This helps to prevent negative side effects often associated with stimulants and caffeine in thermogenic supplements. WILL B-LITE|XTRA AFFECT MY SLEEP? If you’re trying it for the first time, take B-LITE|XTRA in the morning or early afternoon to avoid disrupting your regular sleeping habits. 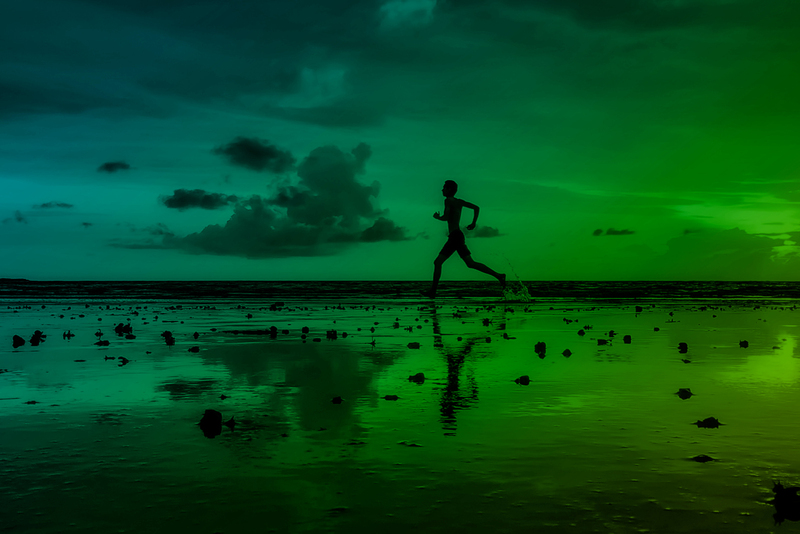 Once you know how your body responds to this stronger formula, your daily routine will be your best guide. Though it packs a stronger dose of stimulants per capsule, B-LITE|XTRA is safe, non-toxic and healthy for your body and brain. 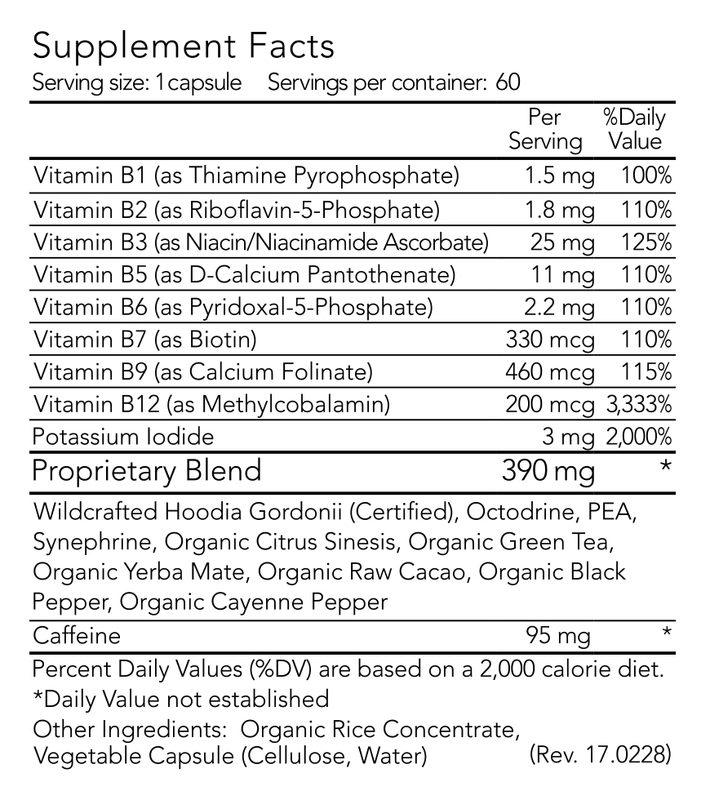 However, if you are caffeine sensitive or you’ve never taken a thermogenic energy product, try regular B-LITE first. We strongly recommend that you never take more than one B-LITE|XTRA at once and not more than two capsules per day. Please refer to the usage directions and warnings on the back of this brochure.